We are always updating the WallPops collection with a la mode additions to our peel and stick wall art. Our creative team travels the globe, attending shows from Paris to New York, studying color, design, and fashion trends.This past year was especially exciting because we had the opportunity to team up with decorating trendsetter Jonathan Adler! Based on his signature motifs, this happy-chic anthology of style launched an exciting new generation of designer wall decals. In addition to wall art inspired by Adler’s sassy style musings, we added lots of chic nursery decor, more dry-erase decals, opalescent chandeliers, and white room panels! 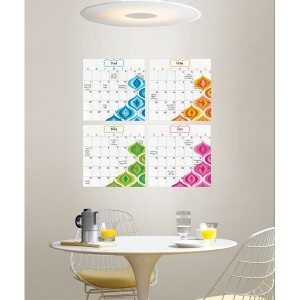 Dry-erase calendars and message boards have taken off as the must-have interactive wall accessory. Recently we added to the WallPops by Jonathan Adler collection with the release of several new dry-erase calendars and message boards. We have also introduced some new designs of our own. 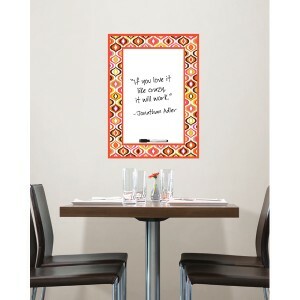 Just in time for back to school, these stylish dry-erase items will keep your schedule coordinated with a flourish. Our adorable line of nursery decor items has several fresh additions with frames, chandeliers, 3-D mirror decals and new wall art kits joining the family. Darling new photo frame decals will showcase baby’s first year in sweet Forget me Not flowers or fun It’s a Jungle in Here safari friends. 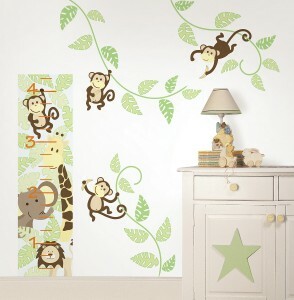 For a nursery feature wall, or for kids room decor, the Butterfly Garden and Monkeying Around kits give you artistic freedom to create your own scene. Coordinating nursery chandeliers with delightful tiers put the perfect finishing touch on your baby’s room! Browse the room-sets below for more brand new inspiration from WallPops!